The Lady Hawk 2.0 gives a new look to one of Nighthawk’s most popular models. They’ve have taken all of the features that made the Lady Hawk a favorite among Nighthawk customers for years, and they have added even more. 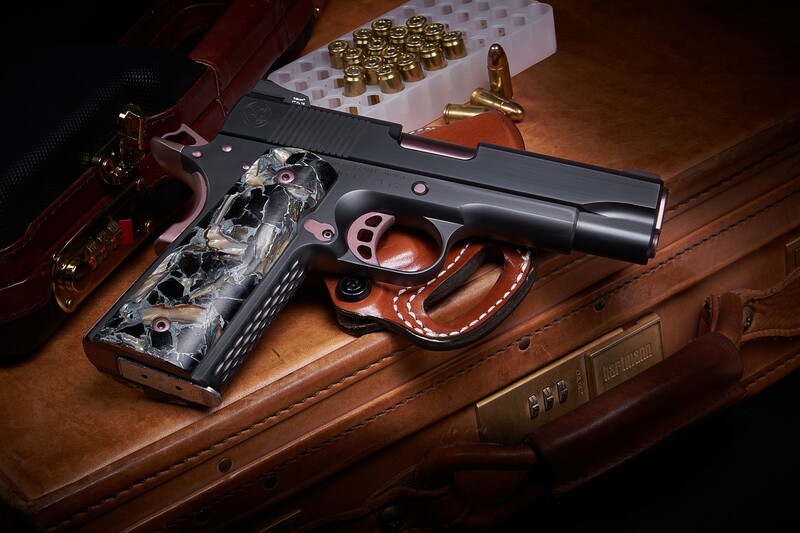 The custom finish and grips make this pistol especially attractive to female shooters. The pistol is available with a slide and frame that have either been coated in DLC (Diamond Like Carbon) or upgraded to polished Stainless Steel. The TiCN, rose gold barrel and controls add a distinctive flair. Finally, the 2.0 is completed with a set of highly unique grips composed of Obsidian, Abalone, and Zinc. While these materials have been used in various applications from jewelry to knives, this is the first time that grips like this have been offered on a 1911 pistol. The Lady Hawk has been loved for years, and I believe you will find this new look as attractive and unique as I do. The Heinie Lady Hawk 2.0 starts at $4675.00. More details on the Lady Hawk can be found here. Read Shooting Illustrated’s review on the Lady Hawk 2.0 here. This entry was posted in Guns, Personal Defense, Semi-Auto and tagged .45 ACP, 1911. Bookmark the permalink.